An Illinois Society of the N.S.C.A.R. 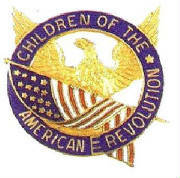 The National Society Children of the American Revolution was founded in April 1895 by Harriett Stone Lothrop. The purpose of the Society was to create an organization "for the training of young people in true patriotism and love of Country". It provides a means for children to become knowledgeable of American history and our government. The N.S.C.A.R. is the oldest patriotic organization for young people in the United States. Any child from birth to age 21 who can prove descent from an American Patriot in the Revolution can join. Heritage Corridor Society organized in January 2003. It is a local society of the National Society of the Children of the American Revolution located in Will County, Joliet Illinois; and serves surrounding communities as far North as Plainfield and as far South as Wilmington. Heritage Corridor was derived from the history of the Joliet area waterways. Native American Indians often traveled from river to river. In 1673 Louis Joliet and Father Jacques Marquette following the suggestion of an Native American traveled from what is now known as the Illinois river to the Great Lake known as Lake Michigan. Jolliet was the first to suggest that a canal be built to connect Lake Michigan and the waterways that flowed to the Mississippi. This canal, known as the I&M Canal was built in the 1800's. The Illinois and Michigan Canal National Heritage Corridor is the Nation's first Heritage Corridor. 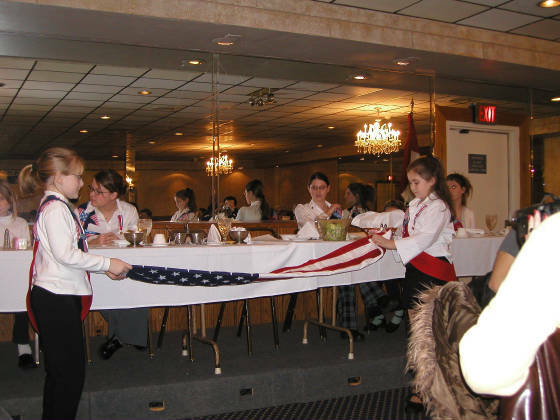 The National Society of the Children of the American Revolution trains good citizens, develops leaders, and promotes love of the United States of America and its heritage among young people.